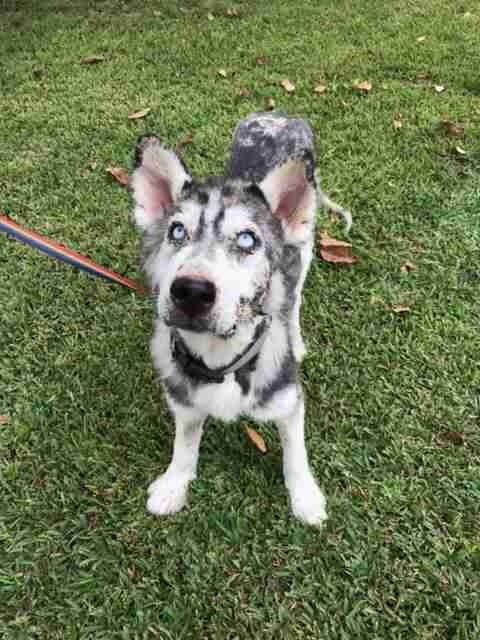 The moment Toby Wisneski saw the husky’s eyes, she knew she had to help her. 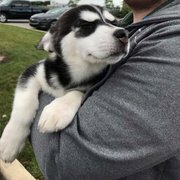 Wisneski learned about the husky, named Miracle, when someone tagged her in a Facebook post. 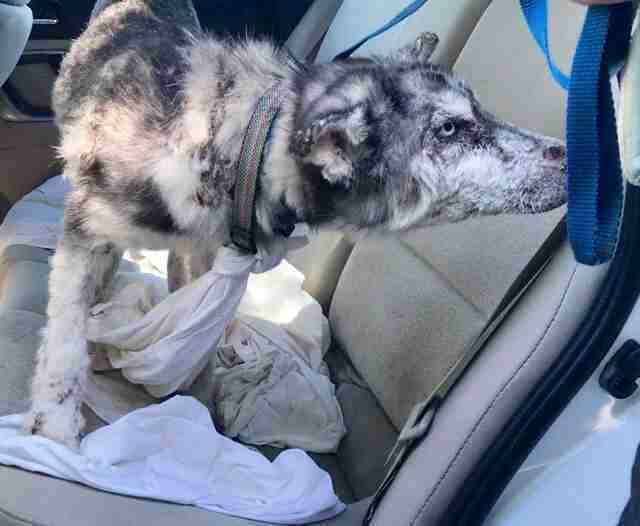 According to the post, Miracle was found on a busy highway near San Bernardino, California. At first, car after car after car passed Miracle, not stopping to help her. 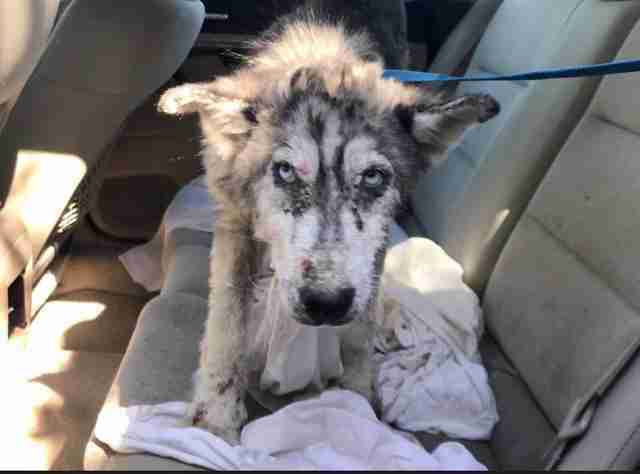 Finally, a Good Samaritan did stop — she wrapped Miracle up in a sheet and drove her to the San Bernardino City Animal Shelter. 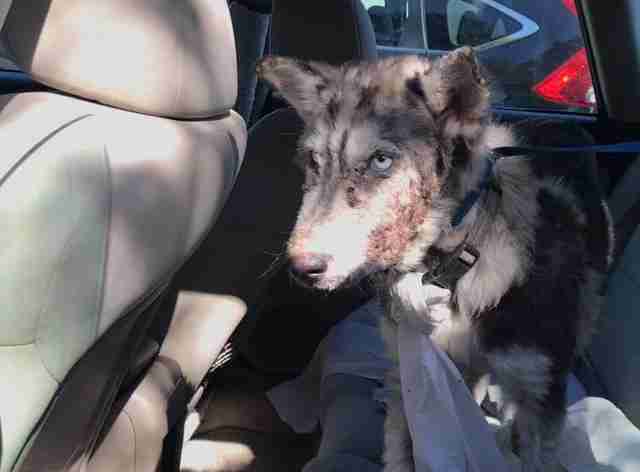 The Facebook post went viral, but Wisneski suspected that no one would actually step forward to help Miracle — mainly because of Miracle’s medical issues. It looked like she either had mange or ringworm, which are both contagious skin conditions. Unfortunately, Wisneski was right. When she called the shelter, the staff told her that no one had shown interest in Miracle, and that she was going to be euthanized very shortly. “They told me, ‘The dog has to go today. If the dog doesn’t go today, the dog will be put down,’” Wisneski said. So Wisneski rushed to get Miracle, who is estimated to be about 9 months old, and took her straight to the vet. Miracle is currently in isolation at the animal hospital while the vet team gets to the bottom of her skin condition, and treats her other medical issues — she also has swollen paws and she’s severely underweight. But everyone at the hospital is showering Miracle with love. “They fell in love with her instantly, because she’s a very sweet dog, and you can tell that she’s very grateful,” Wisneski said. But whatever happened to Miracle will remain in the past — now she has a bright future to look forward to. 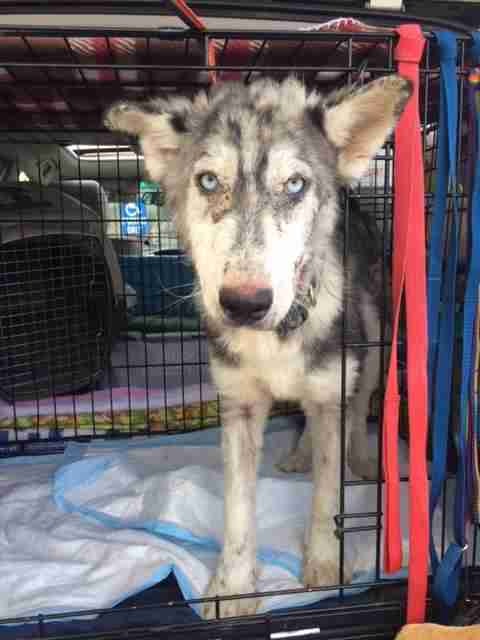 Once she’s released from the vet hospital, she’ll go into foster care, where she’ll get to start living a normal life. “She’s licking the wounds on her feet, trying to heal herself, and we just tell her, ‘Hey, you don’t have to do that anymore. We’re going to take care of that for you,’” Wisneski said. If you’re interested in adopting Miracle, you can contact Leave No Paws Behind. You can also help Miracle make a full recovery by making a donation to the rescue group.